In our endeavours to place contemporary artists from the Polar Regions in a dialogue with artists from our latitude, as in our most recent exhibition: Connections, exposed to the changing environment with works from among others Mario Merz and Alois Lichtsteiner, the museum Cerny Inuit Collection, in collaboration with the Kipling Gallery in Toronto, Canada, is pleased to have the opportunity to present the works of Abraham Anghik Ruben in his first European solo exhibition: Moving on, breaking through. His previous solo exhibitions at the Winnipeg Art Gallery in Canada and the Smithsonian in Washington, D. C. have given him the reputation of going beyond his roots. His most recent works break out of the mould known traditionally as contemporary Inuit Art. They combine the art and culture of the Inuit with that of the Vikings, incorporating rudimentary Celtic elements. We hope that one not only admires his amazing workmanship that is evident in each sculpture, but also gain insight into the times, peoples and cultures of the high North, that have, to some extent, similar shamanistic roots. 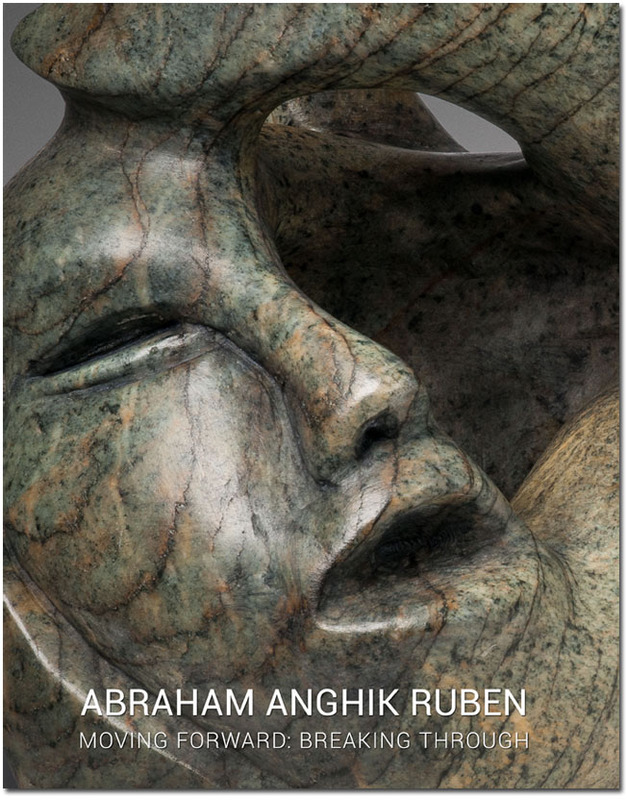 Kipling Gallery is pleased to present the sculptures of Abraham Anghik Ruben at Cerny Inuit Collection and Circumpolar Art. The twenty-four sculptures presented in this collection are interpretations of the many stories, myths and legends that Abraham was exposed to in his formative years. In this collection he also weaves the many stories of the first encounters of the Viking Norse with the inhabitants of the Polar Region. And he accomplishes this with his unique, unmistakable and distinctive style. This body of work will help to dispel, once and for all, the perceived notion that Abraham is just an Inuit artist, a label that has been affixed to his name on account of his native background. Abraham is a Canadian contemporary artist of Inuvialuit ancestry. His mastery of the media and interpretive style and vision illustrate a great understanding of the nuances needed to create such works. I am confident that this exhibition will inspire the viewers and lift them to a higher understanding of the people that adapted to the northern region and of Abraham’s work. In fact, these sculptures very elegantly illustrate the context of the two cultures that came together to carve out a life in the Arctic, and a glance at the artist’s personal life. I would like to thank Martha and Peter Cerny for hosting this exhibition in their museum and their devotion to educate the public on the art of Circumpolar Areas. I would also like to extend my appreciative thanks to the collectors for parting with their sculptures and willing to share them with the world. A special note of gratitude is reserved for Cosimo Stifani who offered his insightful philosophical perspectives, valuable editorial expertise and professional motivation and support while conducting the exhibition research. .
An exhibit of this calibre would not have been possible without the strength of character, physical labour, and inspired creativity of Abraham Anghik Ruben. To sculpt these enduring contemporary masterpieces requires artistry, endurance and unfailing determination. And it is with unabashed devotion that myself and Lou Ruffolo, as co-owners of Kipling Gallery, would like to express our thanks to Abraham for his unconditional commitment to his work and his intended cultural legacy to the Canadian cultural landscape: that of a contemporary Canadian artist of Inuvialuit ancestry.